These are FS9 textures only. The Klaus Brosemann Beech Baron 58 model is required. It can be found at Flightsim.com (http://flightsim.com/kdl.php?fid=96048) This package contains both DXT and 32 bit textures. Grant Aviation King Air 200 N24GN paint by Paco. Contains both 32 bit and DXT textures. 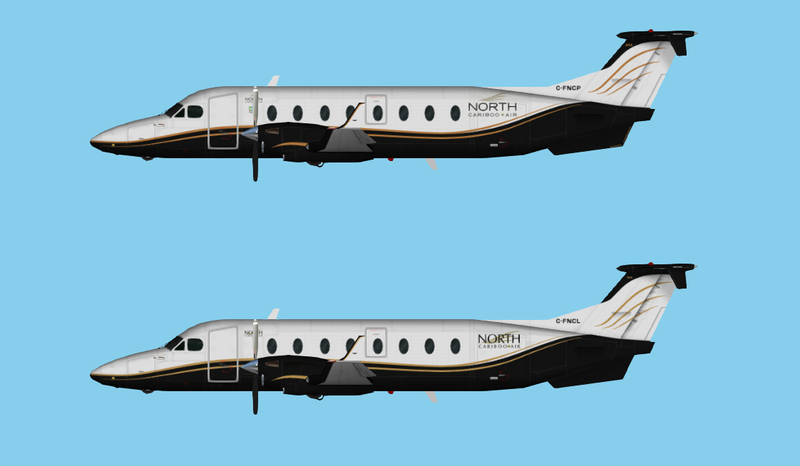 Marvin Lumber & Cedar Company Fleet repaints on the Beech 1900C/1900D and Beech King Air B200 models. The HTAI Beech 1900C base model is required. It can be found at www.avsim.com. 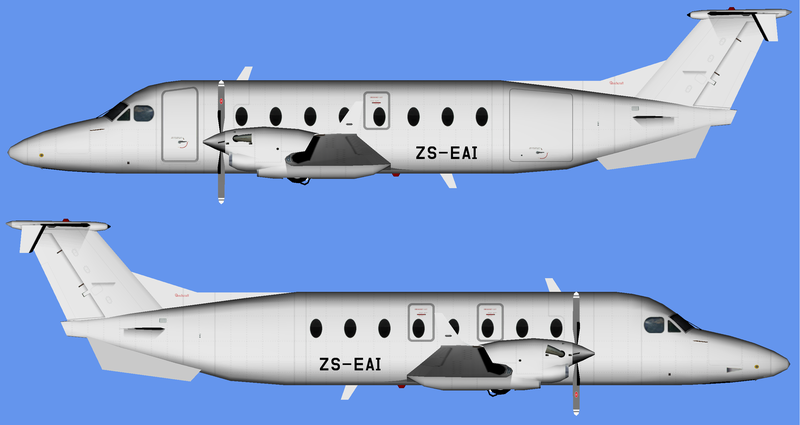 Search for paintkit_beechcraft_1900c.zip. The HTAI Beech 1900D base model is required. The HTAI Beech King Air B200 base model is required. Version 2: Inlcudes updated paint for N655MW. (Preview shot is NOT updated to show the new livery). Redding Aero Beech King Air C90 for the HTAI Beech King Air C90 base model. These are textures only. The HTAI Beech King Air C90 base model is required. 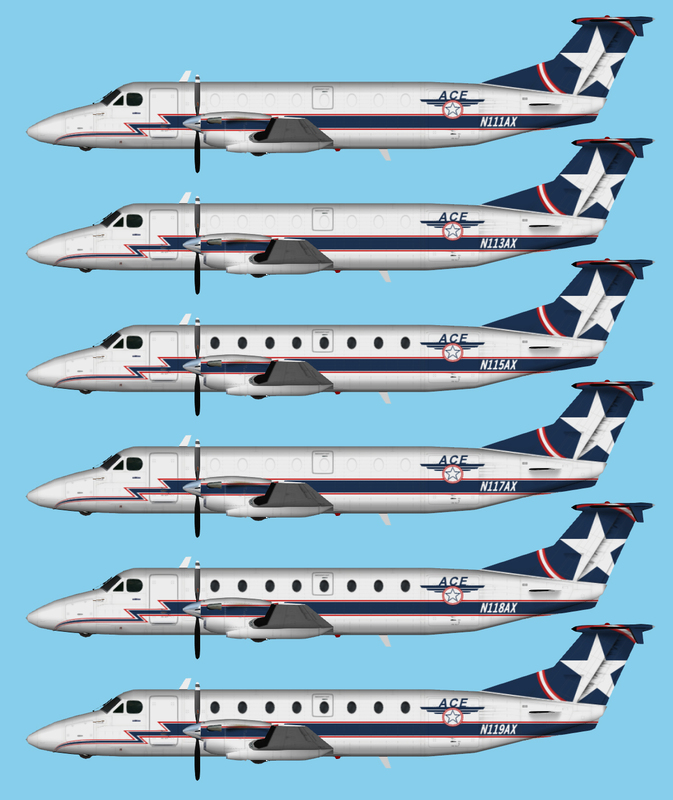 Alaska Central Express Beech 1900C Fleet for the AI Beech 1900C model by Henry Tomkiewicz. The HTAI Beech 1900C base model is required. It can be found at www.avsim.com. 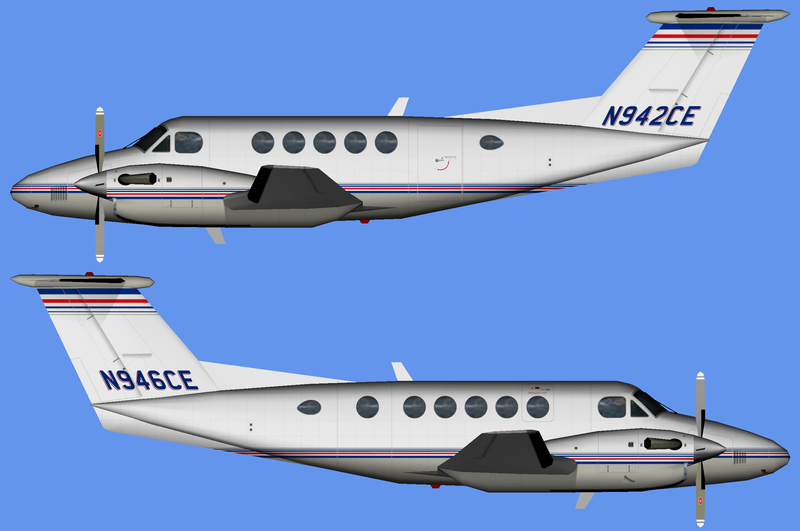 Search for paintkit_beechcraft_1900c.zip. 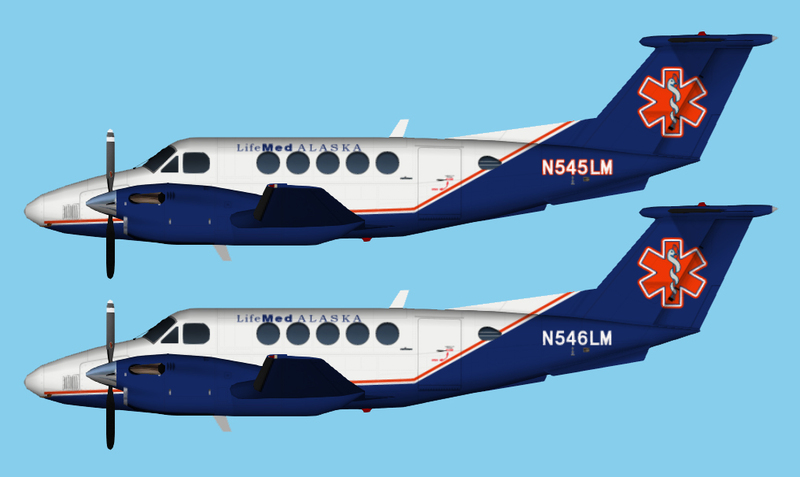 LifeMed Alaska Beech King Air B200 for the HTAI Beech King Air B200 base model. Air Inuit Beech King Air A100 for the DWAI Beech King Air A100 base model. These are textures only. The DWAI Beech King Air A100 base model is required. It can be found at http://htai-models.com/downloads/dwai/fs_projects/index.html. 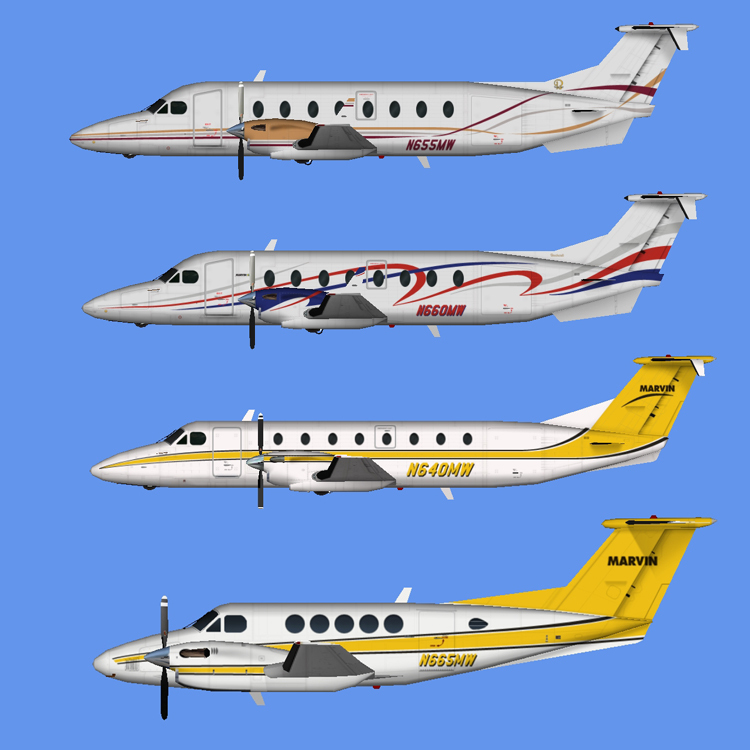 Martinaire Beech 1900C for the AI Beech 1900C model by Henry Tomkiewicz. Thanks to Steve Lewis for allowing me to alter his repaint into this release! Air New Zealand Link Beech 1900D for the AI Beech 1900D model by Henry Tomkiewicz. The HTAI Beech 1900D base model is required. It can be found at www.avsim.com. Search for paintkit_beechcraft_1900d.zip.